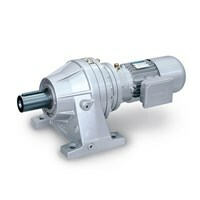 The Bonfiglioli 300 Series of planetary gearmotors are compact yet extremely powerful. The planetary drive train makes then the ideal choice for all heavy-duty applications where shock loadings and impacts are more the rule than the exception. The product configuration is highly versatile, due to the multitude of modular options for mounting, gear layout, output shafts and motor interfaces. Output shaft: keyed solid, splined, splined hollow, hollow shaft with shrink disc. ECD offers a comprehensive range of automation, control and mechatronics products. Call ECD today, for more information on Bonfiglioli 300 Series planetary gearmotors and all your gearmotor needs.